Hello there and HELLO near-March! How many times did I assume there were 30+ days in February? Well, probably at least 5 this week alone, HA! March is for sure headed here and soon! We’ve been enjoying some beautiful weather here in Kansas… so much so that I was confused on what themes actually fit best in a March focus! I settled on four themes to cover today and then I’ll be back in a few weeks for more “Springy” themes! 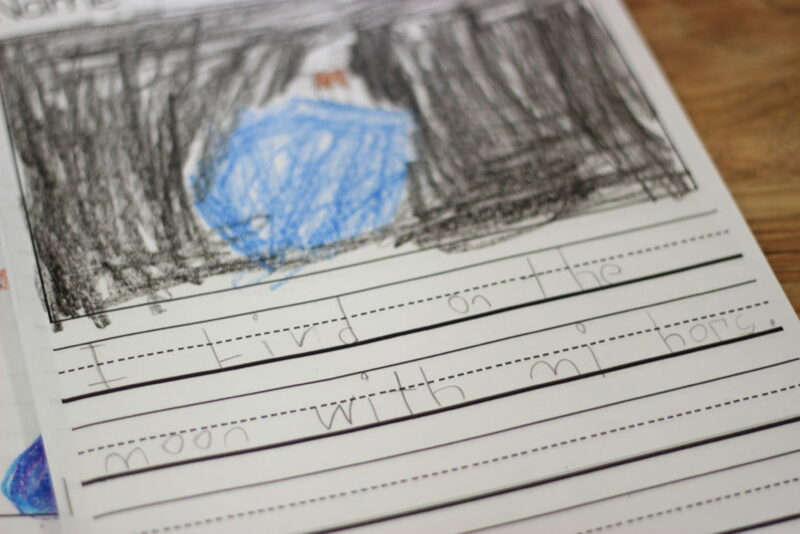 Today I will be covering: Read Day, St. Patrick’s Day, Dinosaurs and the Moon! 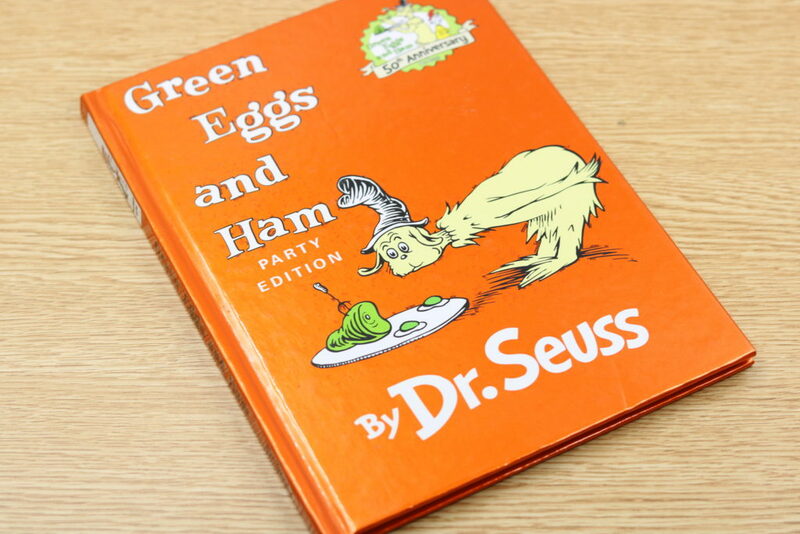 We will start with Read Day because it is coming up next week! Above are some my favorite Read Day books… there are literally so many of them that it is hard to decide! 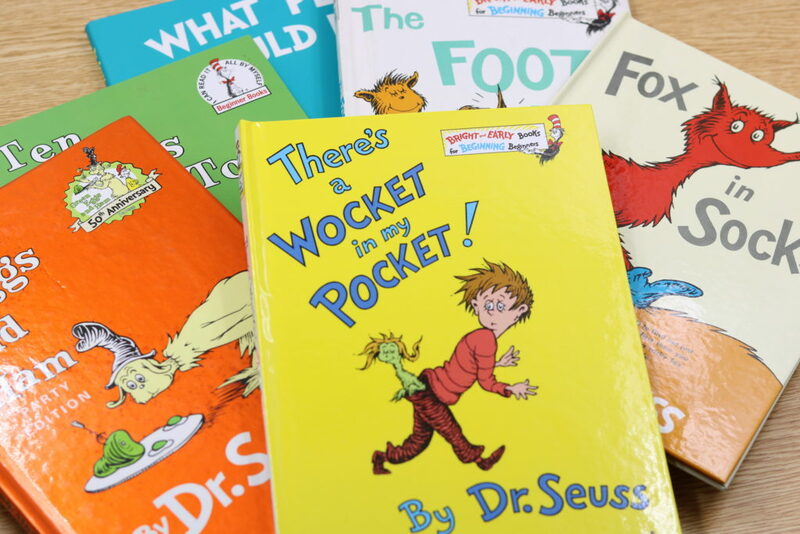 Today I will be sharing some fun ways to bring the “close read” model to light using these books! So many of them are great for those “just because” reads, but actually several more contain great content, skill focuses and rich vocabulary! This first one is for sure a “loved by all” kind of book! This book is great for rhyming words but word families in particular! Of course the -am family fits the best! 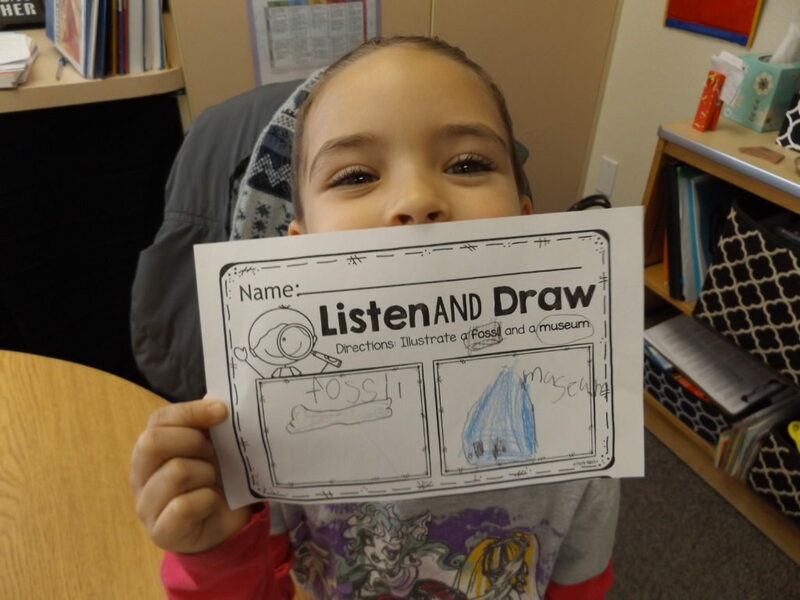 I love this interactive word building activity in my class! 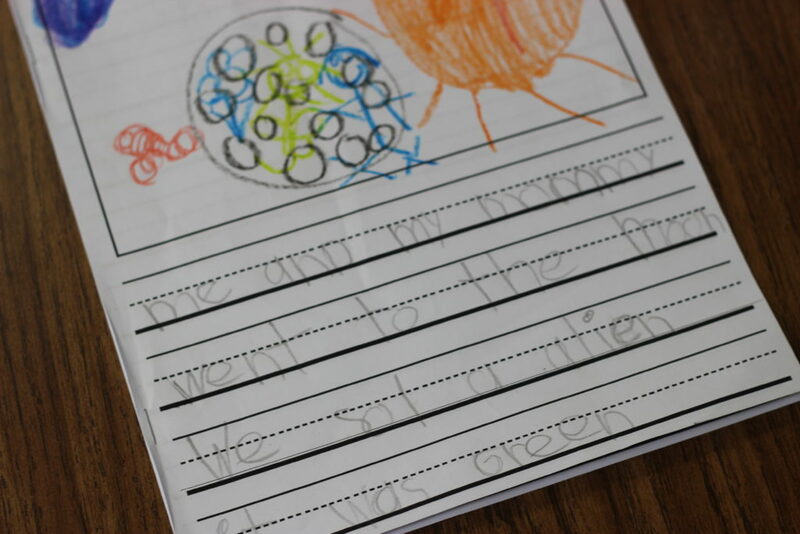 One kiddos holds the rime (am) and other bring up the onset letters to help create new words! 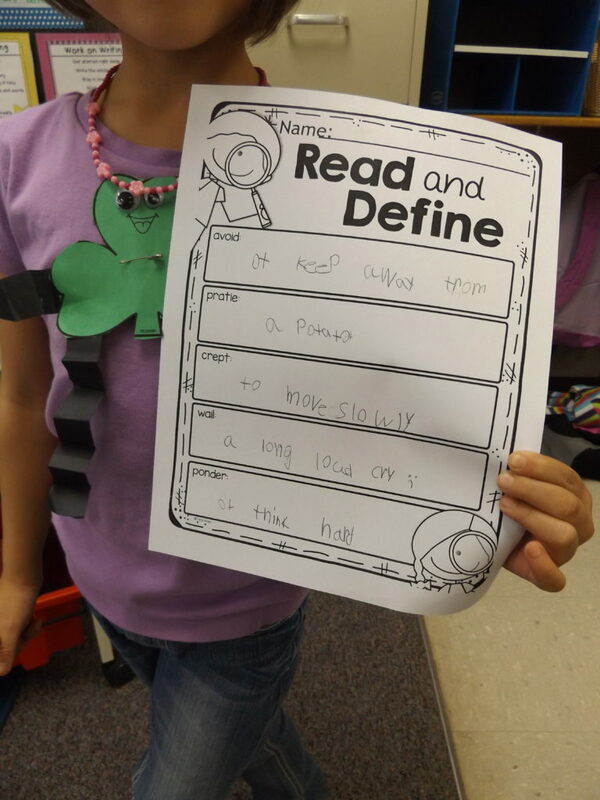 This is a great activity to do before reading the text! 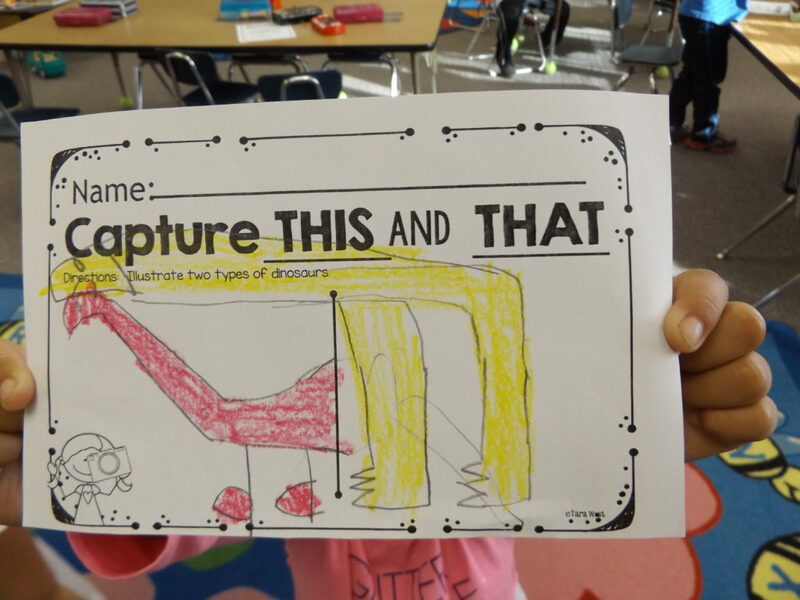 This will draw in the kiddos because they will be excited to hear/see the words they just helped to build! *This activity will be in a free download below. Page 12- Why do we think he is upset? Can you make a connection to a time you were upset? Page 31- Do you think he is convincing him to eat it yet? Use evidence from the text to support your answer. Page 57- Have students turn to their partners and make a prediction about what might happen next. Page 59- What has changed? Why might this change have come about? Alright let’s move onto the next text! 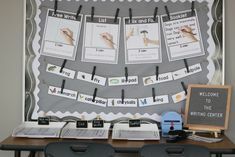 This one is awesome for reviewing/teaching real and nonsense words! I love to play this fun whole-group game before diving into the text! The kiddos all have a real and nonsense (on other side) paddle! You will hold up word cards and they will decide if it’s real or nonsense! *This activity is part of the freebie download below. – Read the preface and stop to have kids turn and talk to a partner, making a prediction about what they think this text might be about. – What do we notice about the boy? Does he enjoy these friends? What evidence do you have? 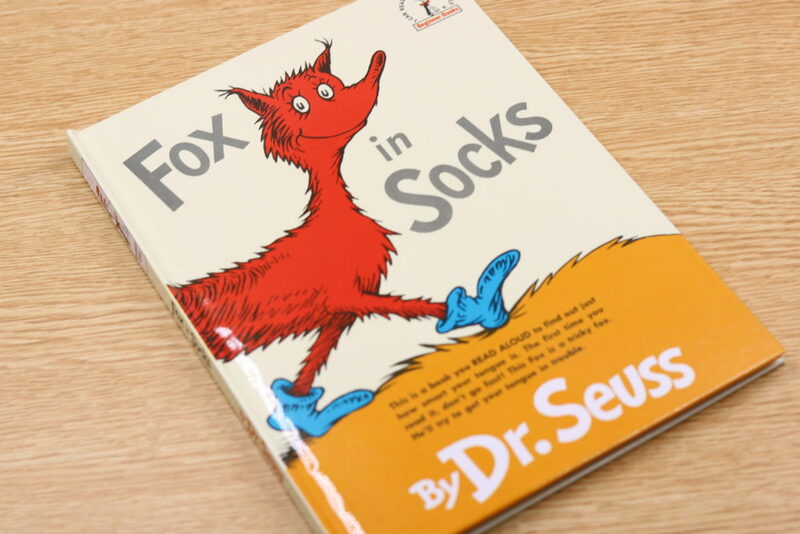 Up next is a super fun text that promotes a TON of rhyming fun! 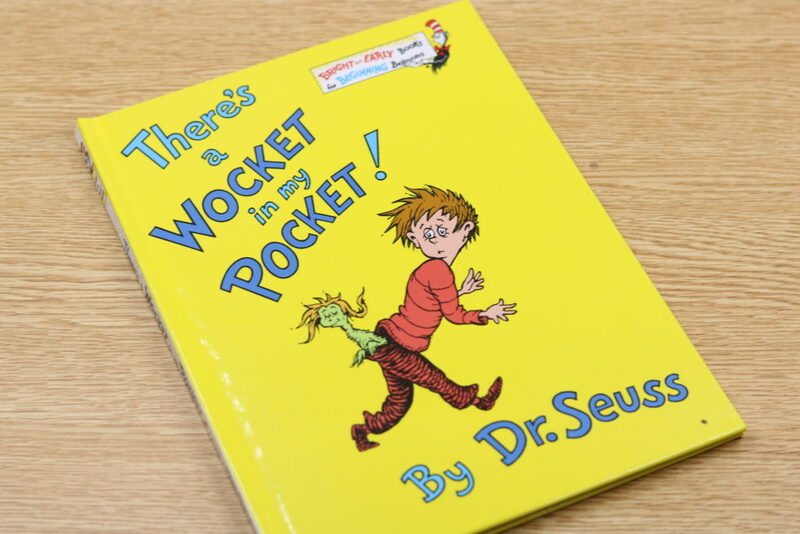 I have a couple of rhyming games I love pairing with this text! The first, rhyming riddles! 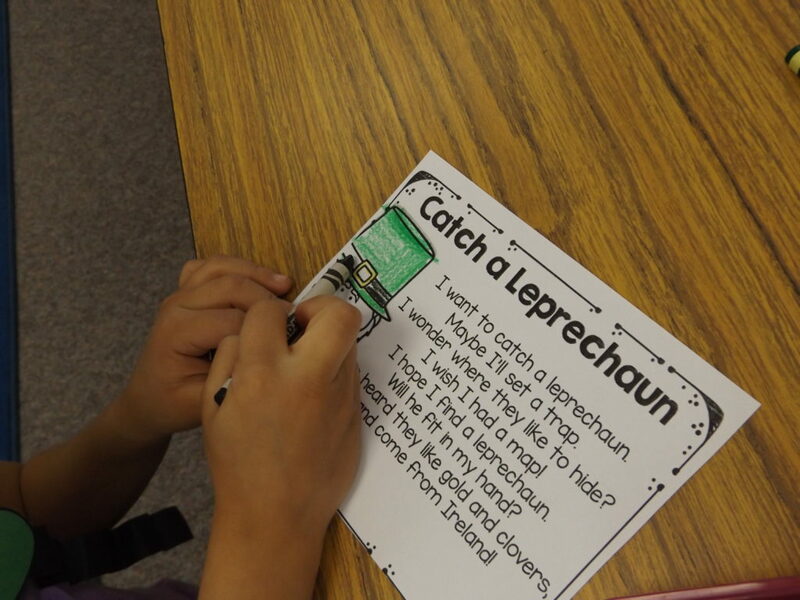 These are so fun because they are open ended riddles… the students solve them by finishing the rhyme! The other fun activity is called “Taking Out the Trash”. With this game you will give kiddos a set of 3-4 words. They will let you know which doesn’t rhyme aka the “trash”. 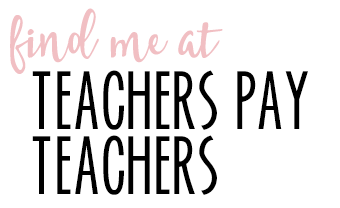 These printables are included in the freebie below! 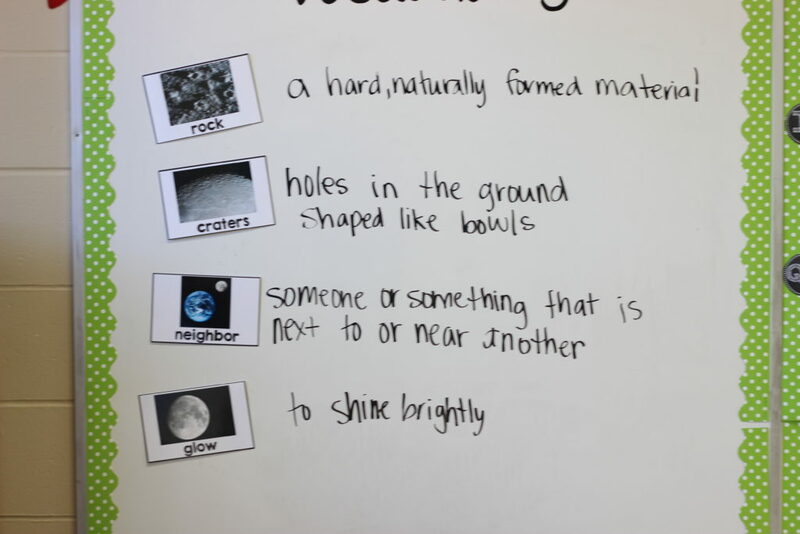 This text lends itself to a set of vocabulary words! – Read the preface and have students turn and talk (predict). – Who are the two main characters in the text? How do we know this? – Page 12- What does the illustration show us? -Page 30- Make a prediction on what might happen now that there is blue goo. – Page 4- He wants a dog and she wants a cat. Make a prediction with your turn partner on what you think might happen next! -What does it mean to “make up your mind”? The last text of course is a well-known by the kiddos! 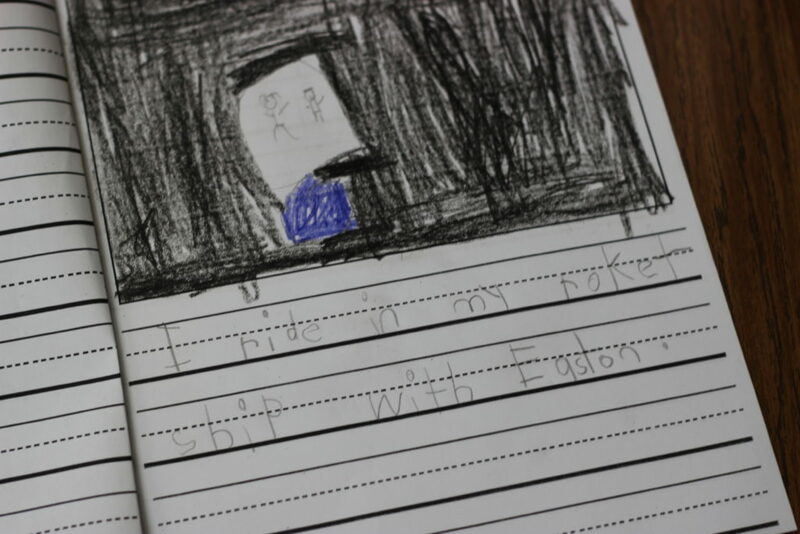 This one also has some great vocabulary words! – Why can’t he where the sound is coming from? – What does it mean that a person is a person no matter how small? – How is he protective? 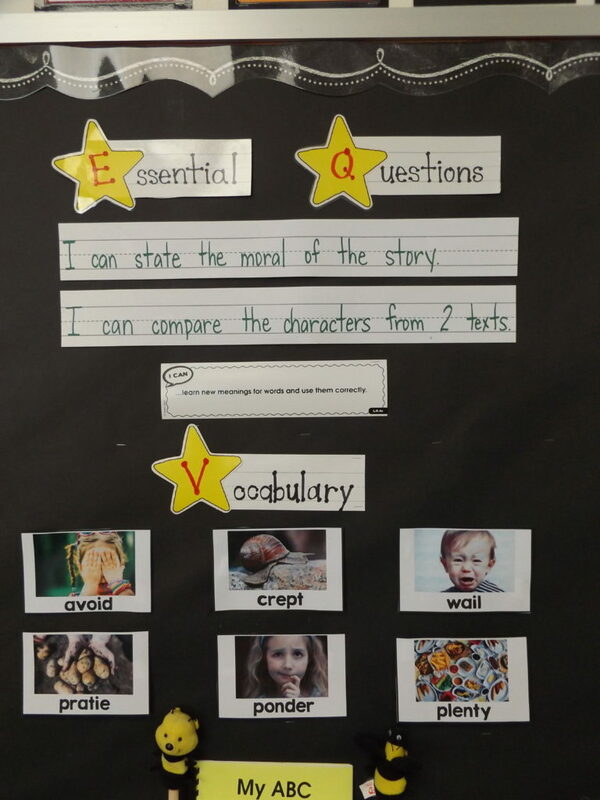 Use evidence from the text. -How are the others treating him? -At the end of the text, how does everyone work together? 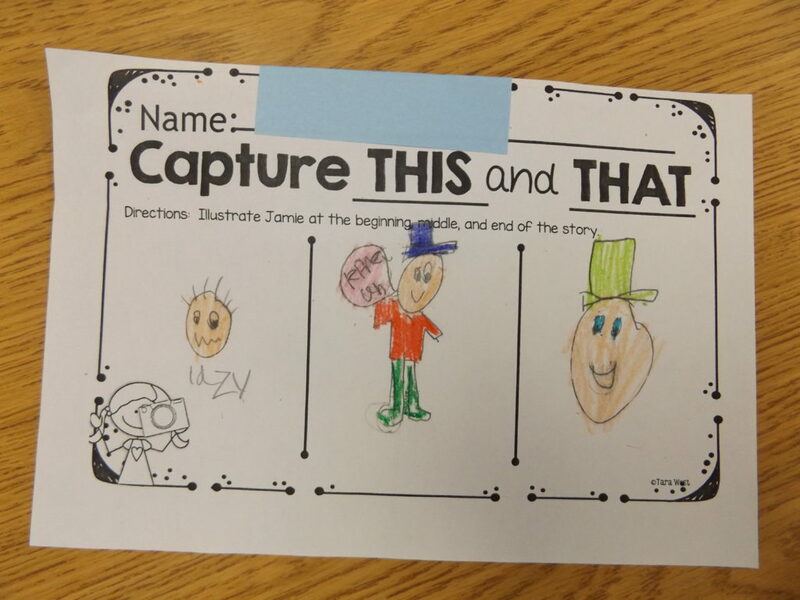 I have created picture cards for all of the vocabulary words mentioned above! 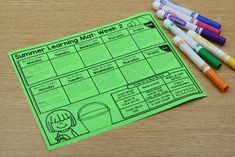 You can download these and the fun word work games HERE! Okay! 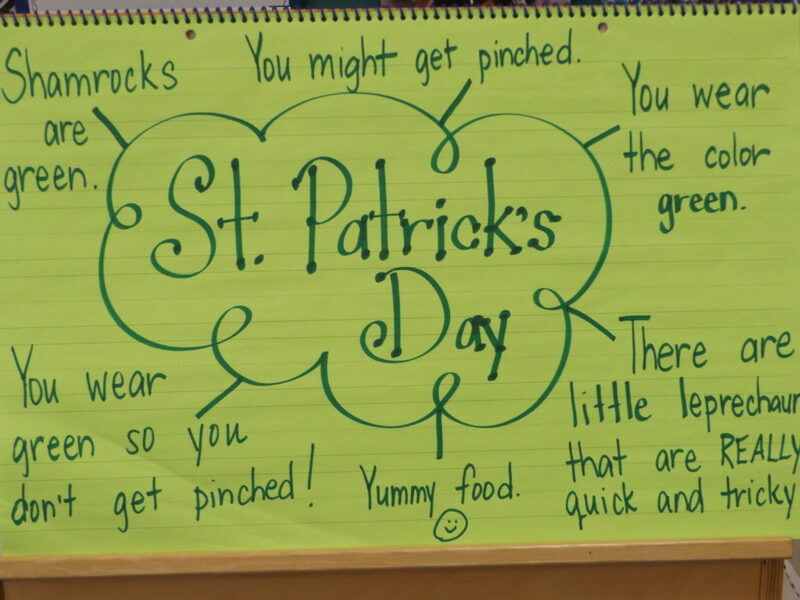 Let’s move onto our next March theme… St. Patrick’s Day! This week we pair two Tomie DePaola books! 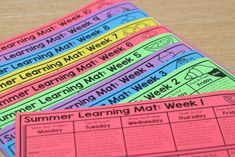 This week is from KinderLiteracy Unit 8 (Supplemental Weeks). 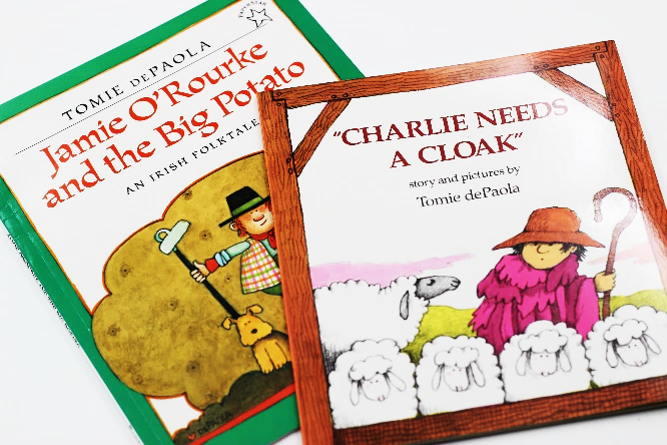 The main text, Jamie O’Rourke and the Big Potato is the main text and the paired text is completely optional but I do love pairing it with Charlie Needs a Cloak! Theme for the week? Of course! St. Patrick’s Day! This week’s essential question is about moral! 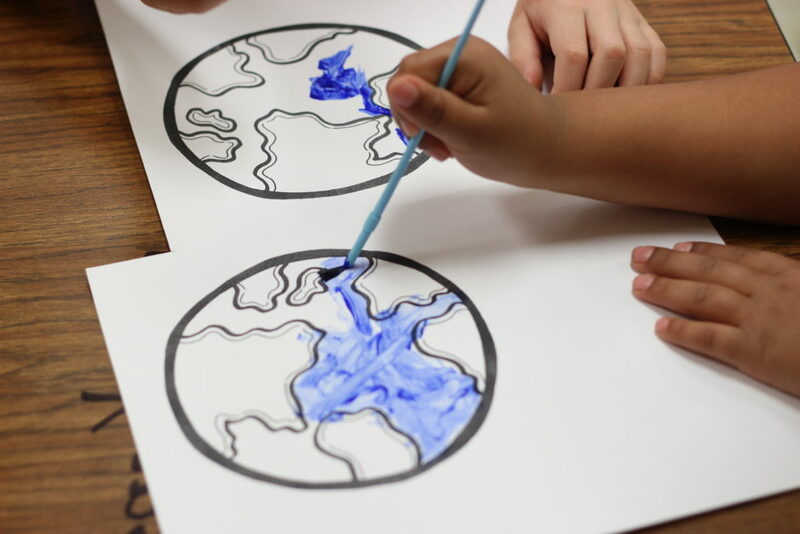 This is always a tricky concept for kinders to grasp but with lots of real world modeling… they get it! Defining the words for the week! 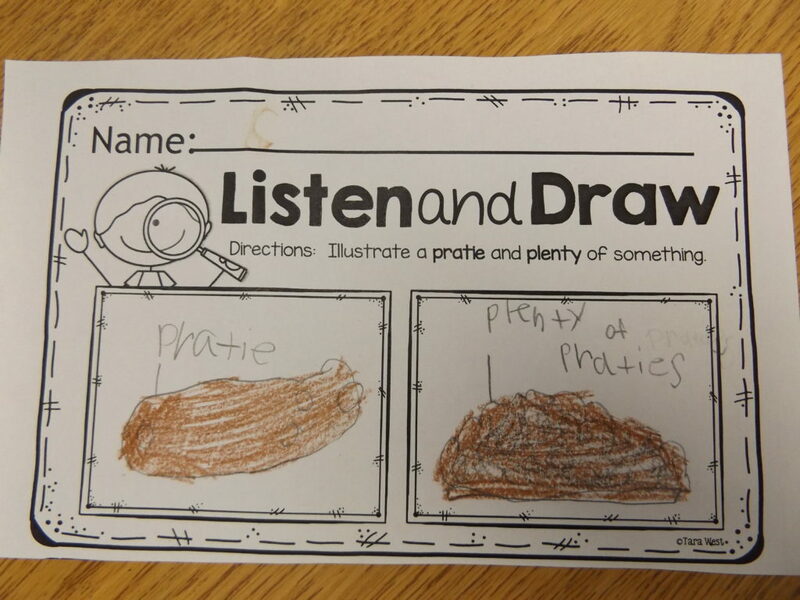 Listen and draw- prattie and plenty! 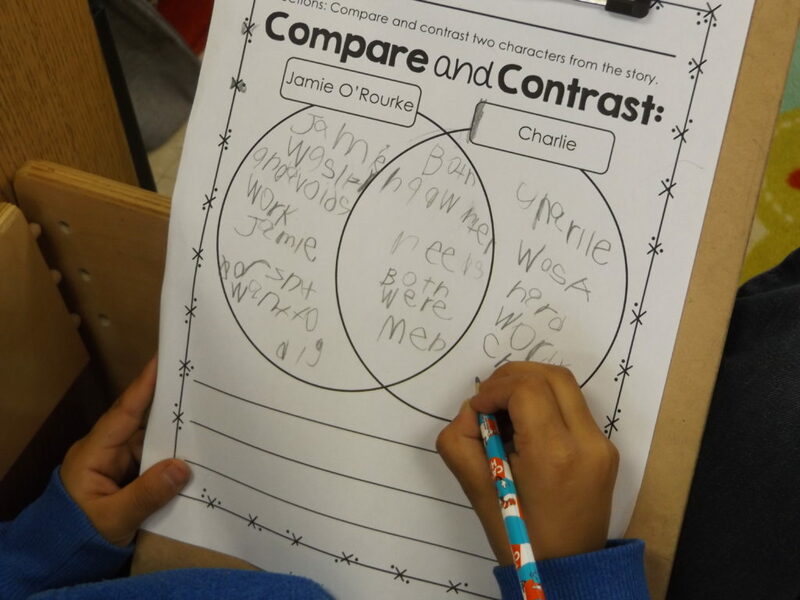 Illustrating Jamie at the beginning, middle and end of the story! When pairing with Charlie’s Cloak! 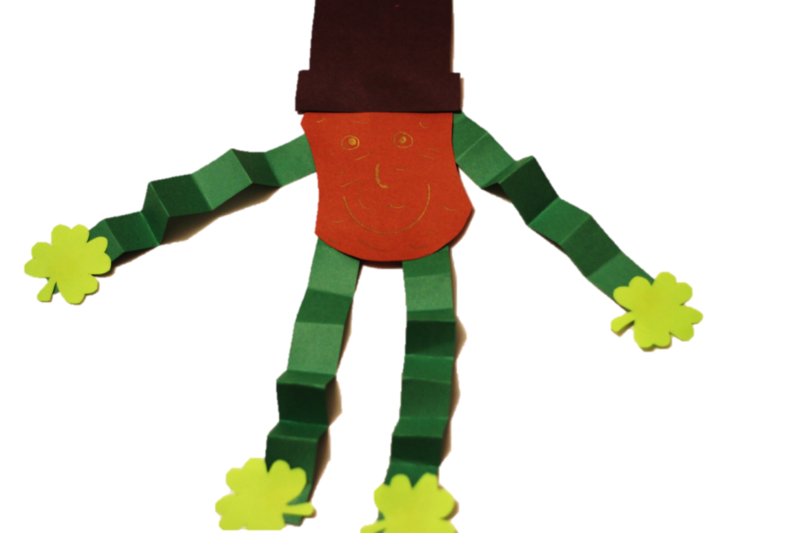 The Jamie O’Rourke craft is a fun and silly prattie! Time to talk a little DINOSAUR! 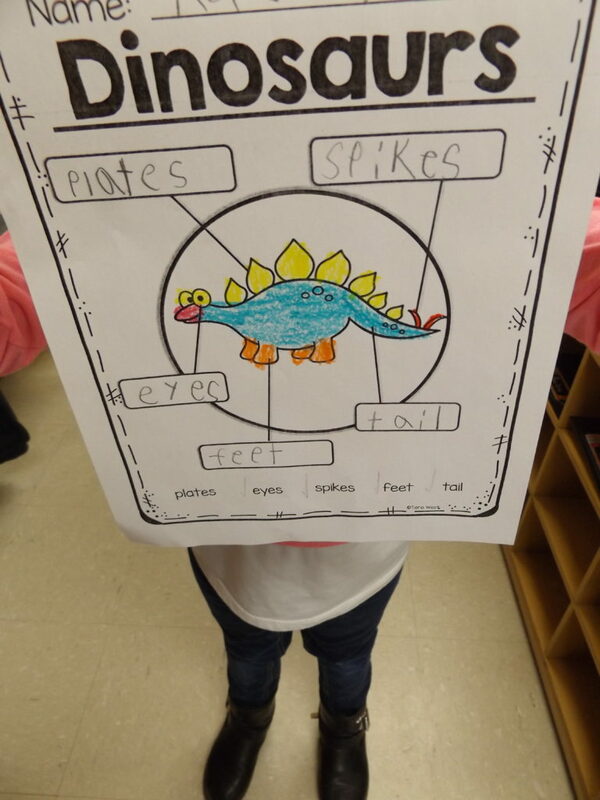 Dinosaur week is part of Unit 5 of KinderLiteracy! 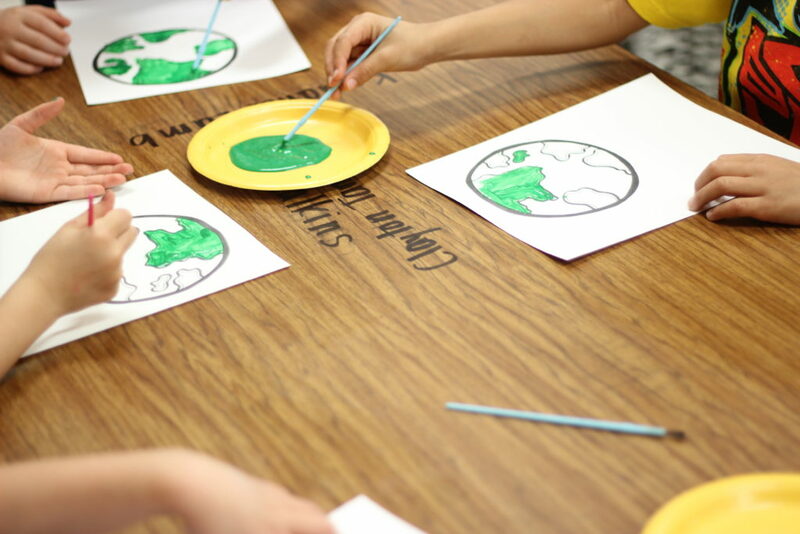 This week’s essential question has the kiddos taking note in FACTS! We of course have covered facts through the weeks prior, but we are now honing in on all of the knowledge that is stuffed into on book! 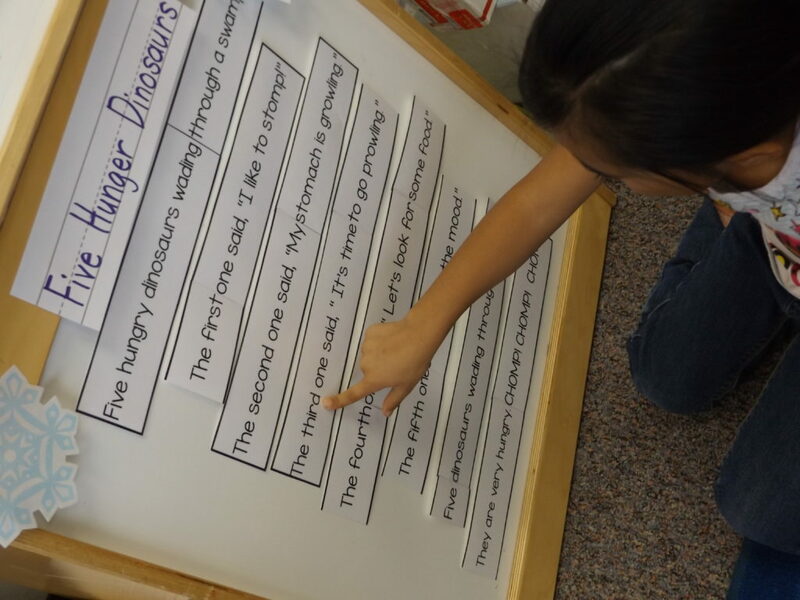 Our second essential question offers up a time for the kiddos to predict, What if dinosaurs still roamed the earth? 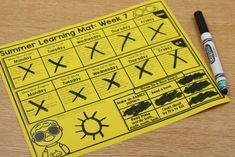 Your big thing this week is all about EVIDENCE! I would suggest that you even write it across the board! 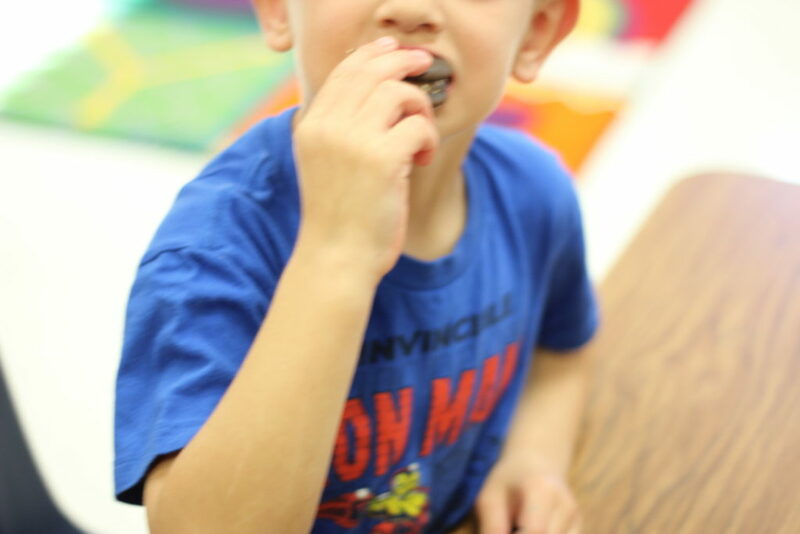 As the kiddos answer questions throughout the week…you will ask them what EVIDENCE they have to prove that! 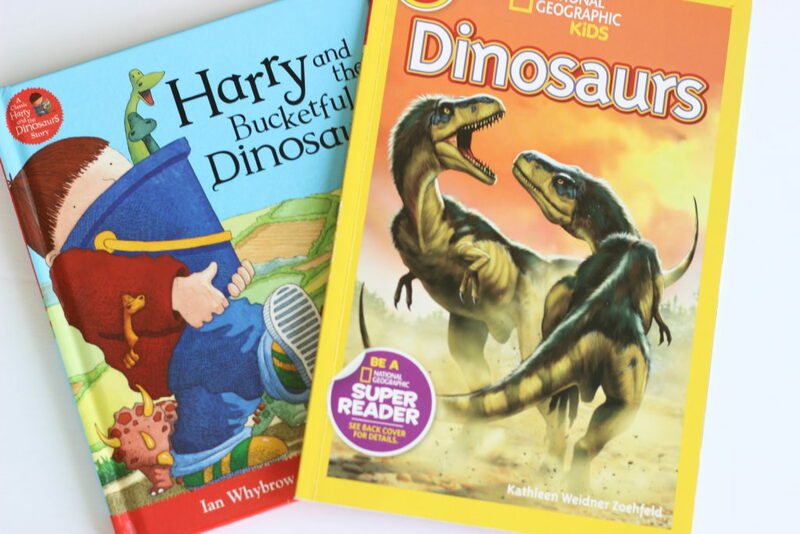 This week I pair with Harry’s Bucketful of Dinosaurs! However, any fiction dinosaur book will work! 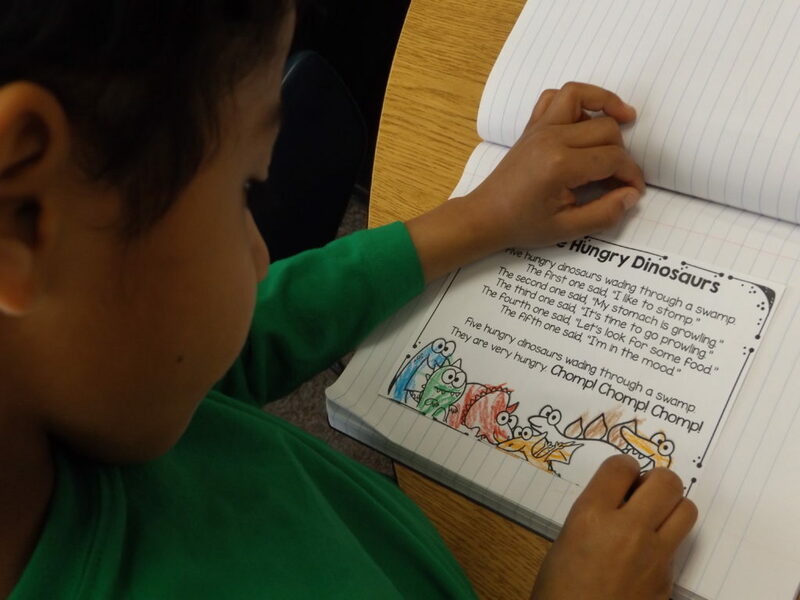 We just want to draw their attention to the differences in the fiction and nonfiction versions! 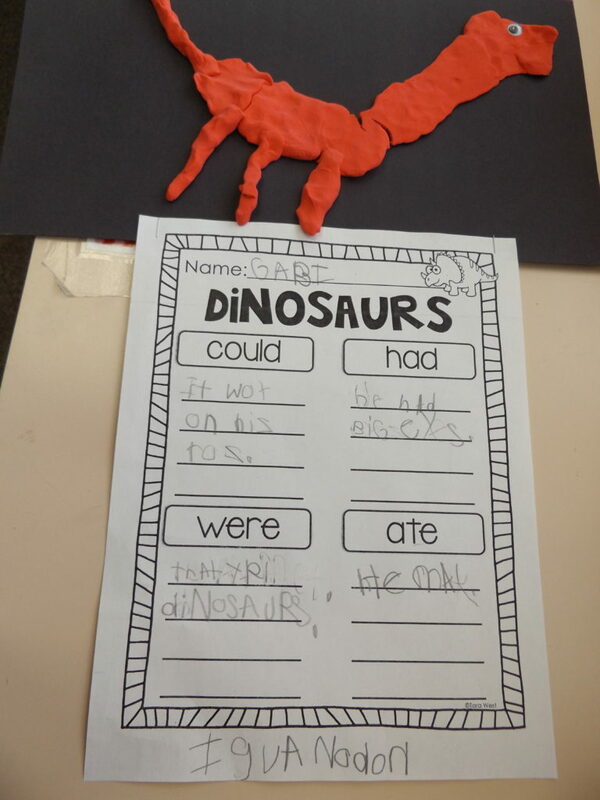 The kiddos will label a dinosaur whole-group and as independent practice! 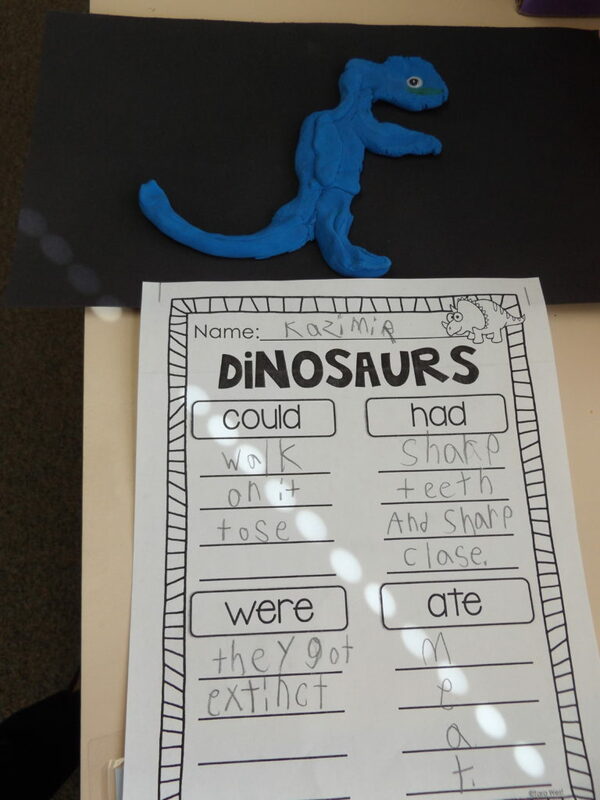 Dinosaur Can/Have/Are reports with playdoh dinos!!! 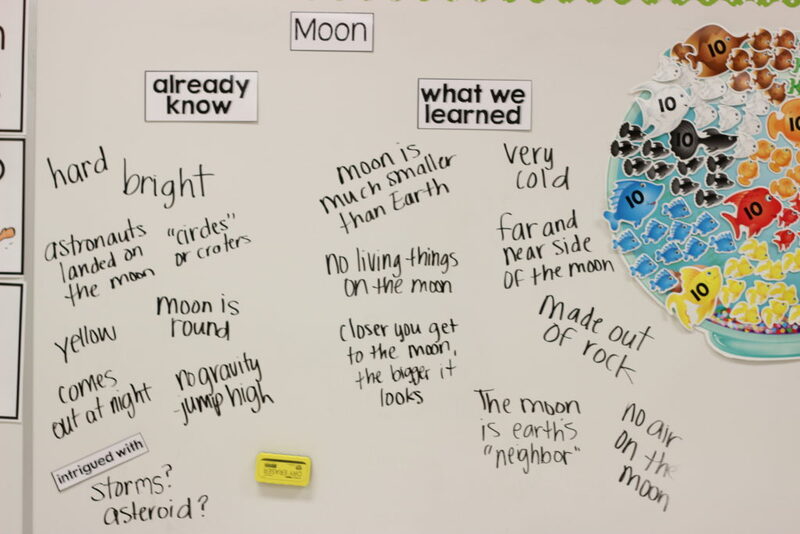 Up next is another exciting theme from Unit 5 of KinderLiteracy- Moon! 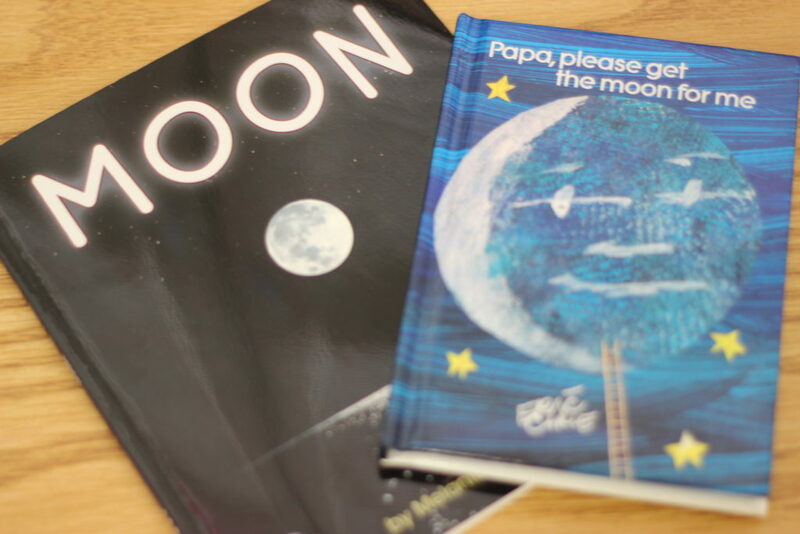 This weeks pairs Moon by Melanie Mitchell with Papa, please get the moon for me! 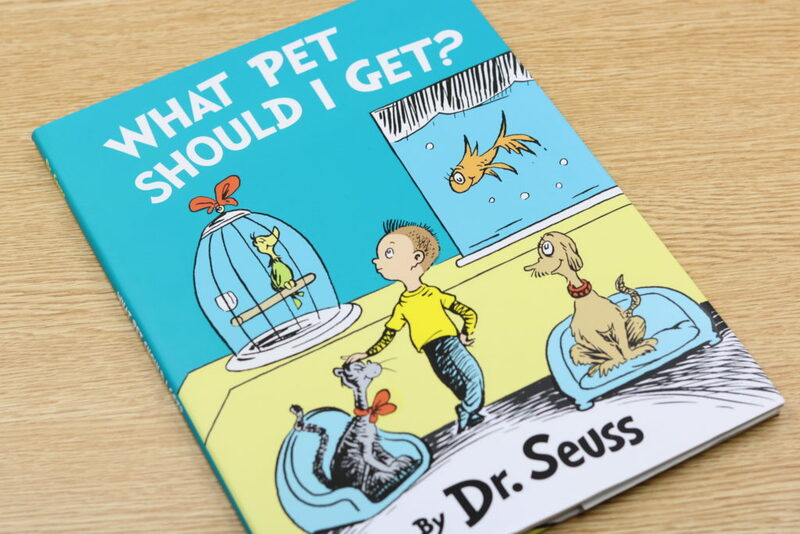 This week’s essential question ask that students use the photographs and illustrations to help predict the text! 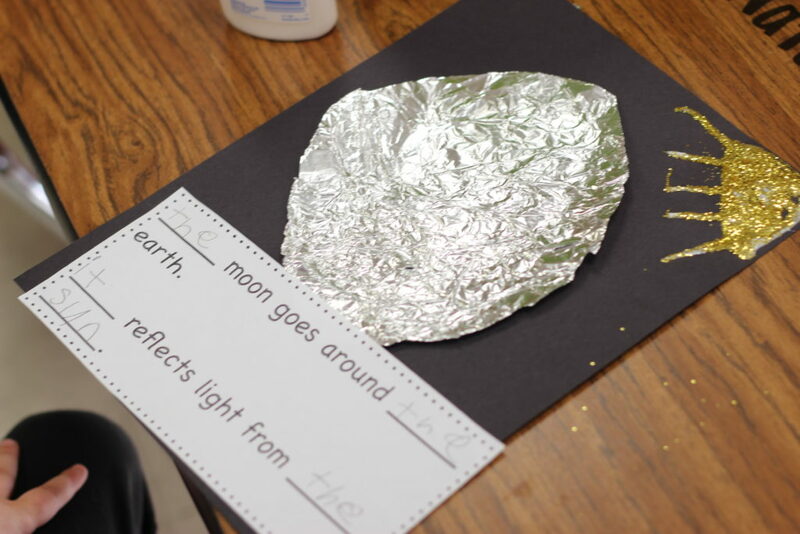 The students are also asked how the moon appears to change and how that happens! 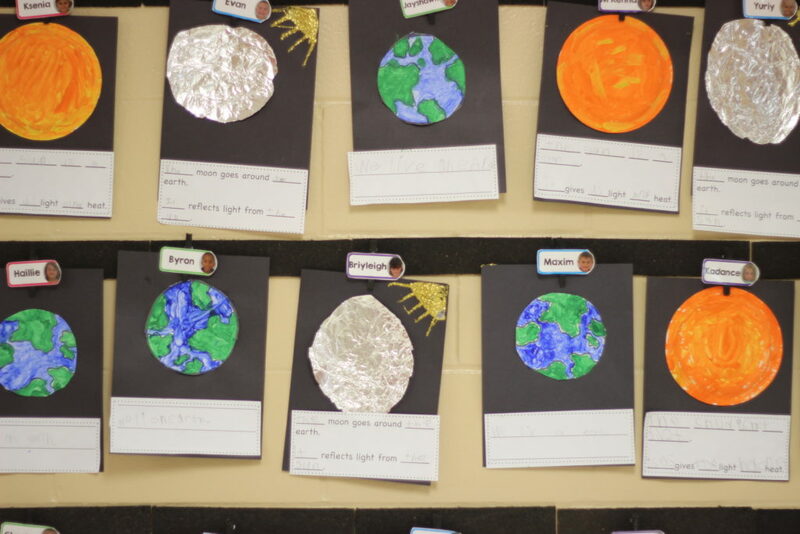 You can see all of the new knowledge the kiddos are able to pick up on! 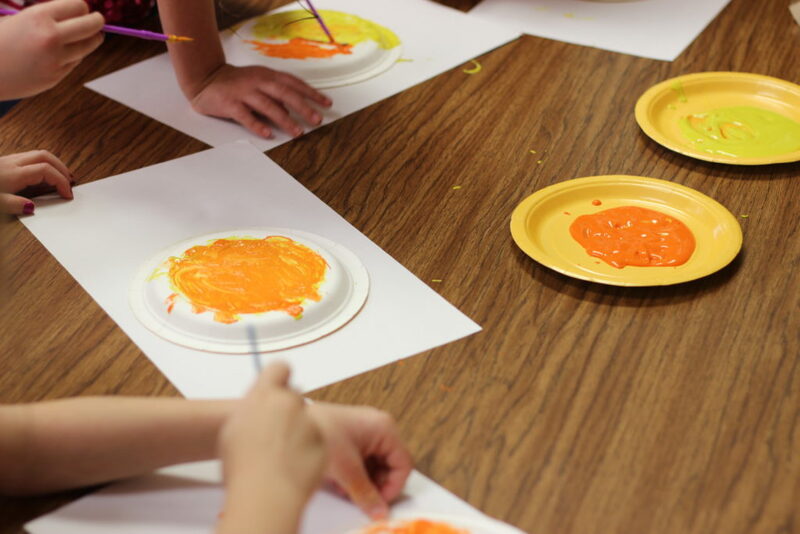 This week’s KinderLiteracy lesson plans ask that the kiddos writing FICTION tale tales! 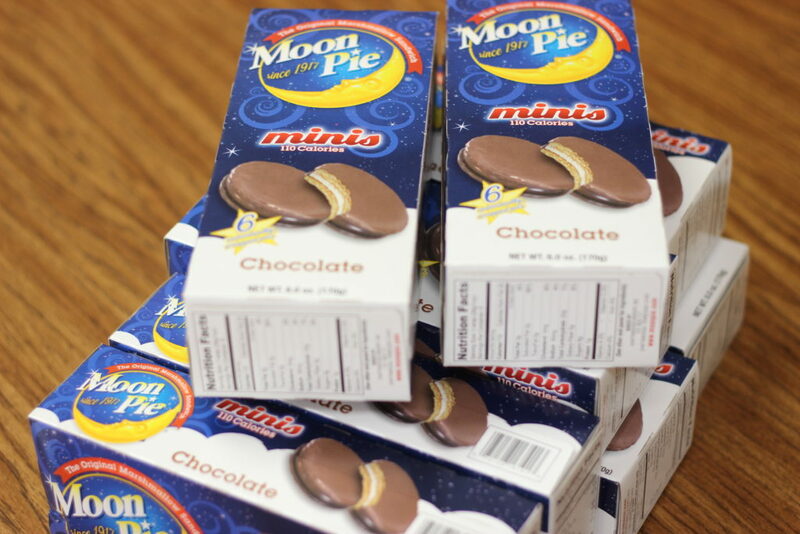 And of course we had to indulge on some moon pies! I hope y’all enjoyed this post! 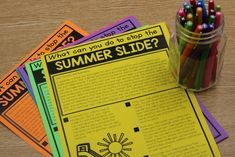 I will be back very soon additional ideas for your classroom! Have a super March! 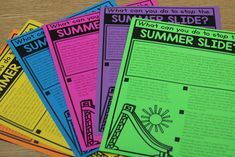 Thank you for all the details you put into your packets I really appreciate the timely blogs that let us know how to use the products. Thank you so much for all of your awesome products! You asked a few weeks ago if there was a something we would like to see you create. I have a couple of things. I would like to see a fable unit or two! Also, I wish you would create a poetry unit! 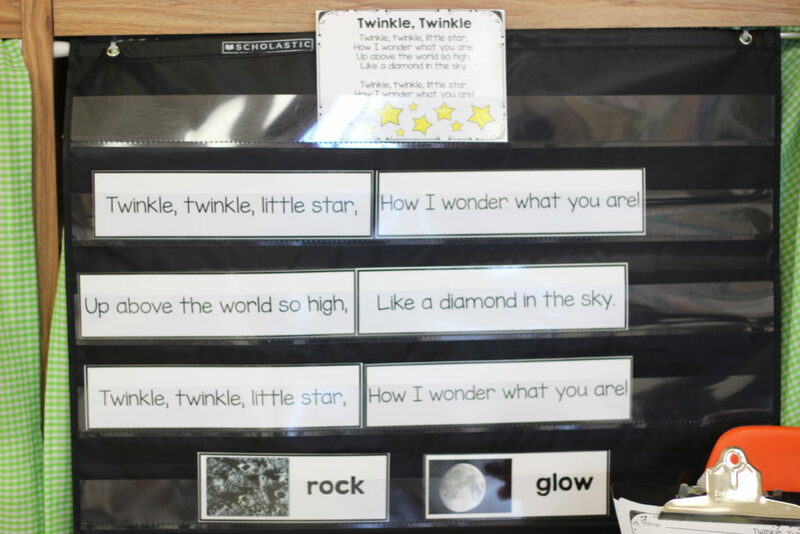 Some poems that are mentioned in our scope and sequence include a couplet, acrostic, five senses, shape, and alphabet. 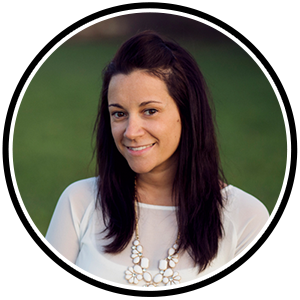 I have pulled from other sellers on TPT to get what I need, but I am so used to your products. Thank you so much! Yea!!! I just purchased! Thank you so much!